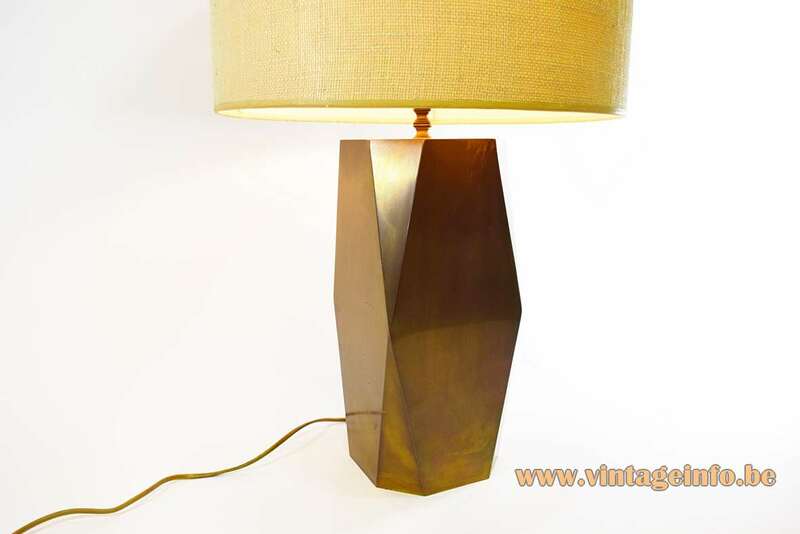 Materials: Hollow oblong brass base, metal counterweight inside. 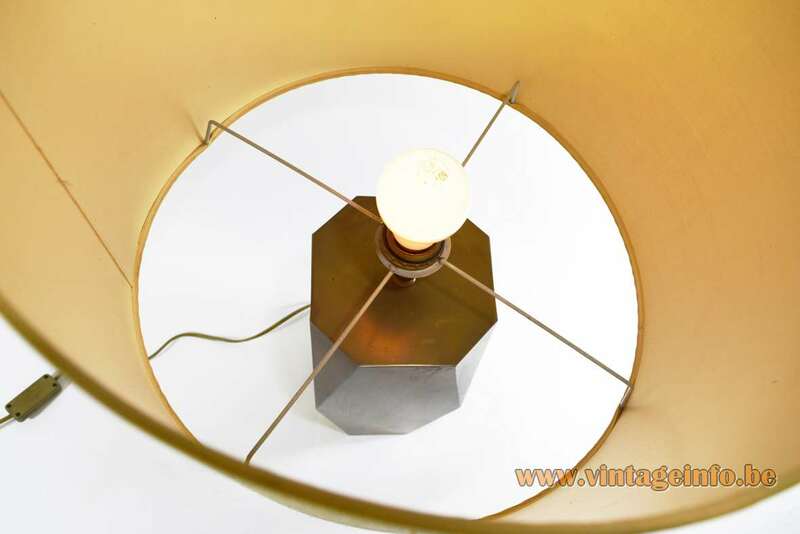 Round beige fabric lampshade, Bakelite socket. 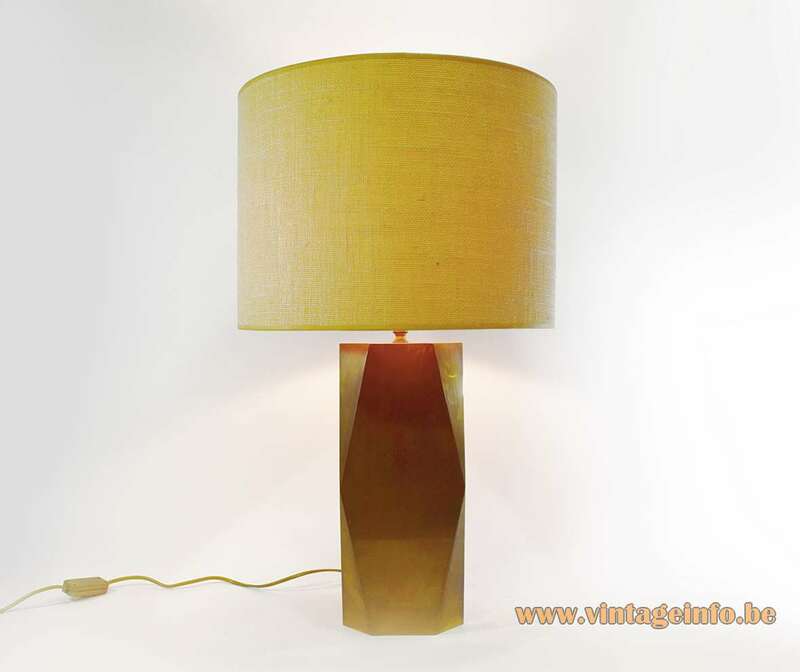 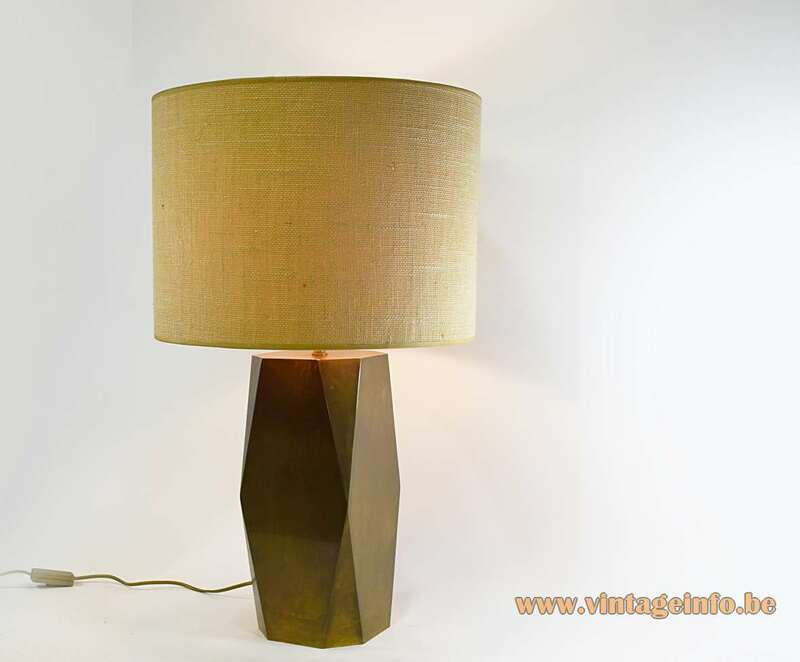 Massive made these table lamps since the 1970s. 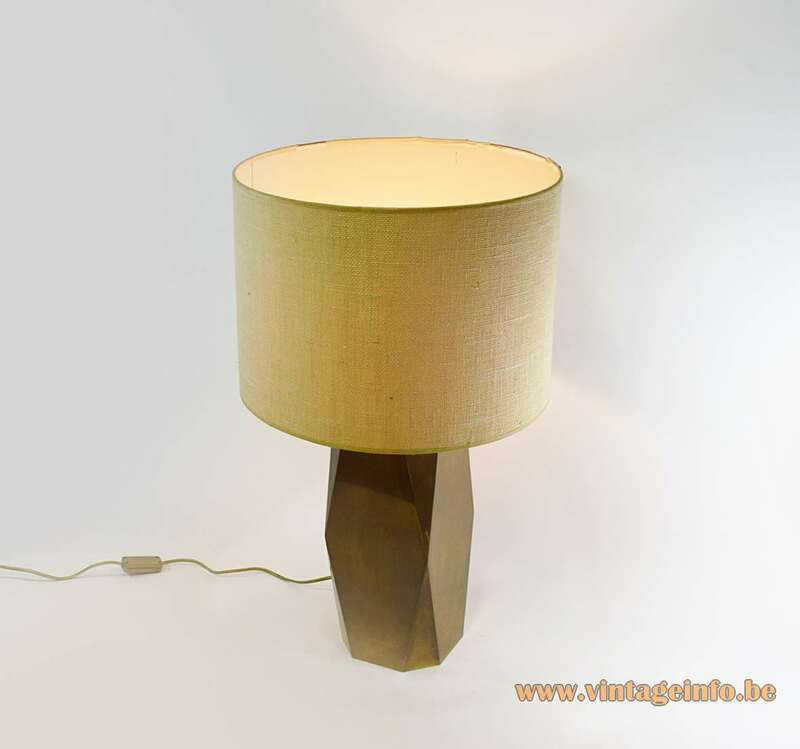 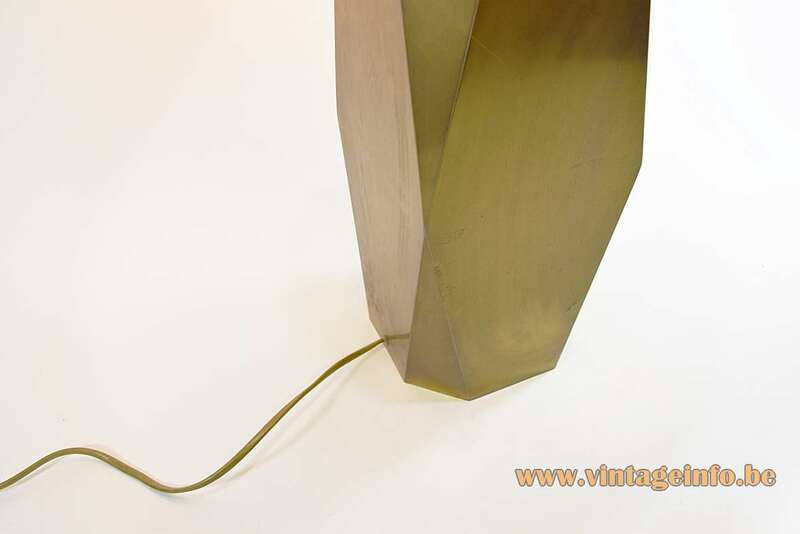 This lamp is a 1980s edition, to see on the wiring and the label on the bottom of the base.